The trend is putting the state on a collision course with the EU over renewable-energy targets. IRELAND’S ENERGY DEMAND will shoot up over the next decade due to the spread of data centres across the country – making harder the government’s task of avoiding fines for missed EU renewable-energy targets. In its recent ‘all-island generation capacity statement’, which includes forecasts to 2026, EirGrid predicted energy demand would be flat in Northern Ireland – but it would continue increasing in the south “largely due to new data centres connecting”. The semi-state electricity grid operator predicted a 21% increase in total electricity demand in the Republic over the next decade after a fall in demand during the recession years. The need for extra power supply would be centred around the capital. “A significant proportion of this extra data centre load will materialise in the Dublin region,” the report said. According to EirGrid’s mid-range scenario, 15% of all electricity demand in Ireland will come from data centres by 2026. 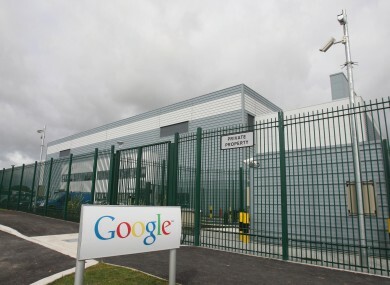 Ireland has become a hub for data centres in recent years, with tech giants like Amazon, Facebook and Apple all setting up major European data storage facilities. The country is seen as an attractive location for the facilities for a range of reasons, including the cool climate, which reduces running costs for heat-generating computers, its connectivity to the US via transatlantic data cables, and a favourable data-protection regime for tech multinationals. Amazon alone has several data centres in and around Dublin, including three near Tallaght. It is planning new facilities near Dublin Airport and, most recently, a data centre the size of three football pitches at Mulhuddart, in north-west Dublin. While large data centres are costly to build – involving spending often in the hundreds of millions of euro – once operational they require relatively little money to maintain. Amazon’s proposed Mulhuddart facility is expected to employ only 30 people when completed. Jobs Minister Mary Mitchell O’Connor told the Dáil earlier this year that the IDA was currently looking to identify “potential strategic land banks … for the sustainable development of large-scale data centre projects”. “This study is part of IDA Ireland’s wider strategy to ensure that Ireland and its regions are best able to win and sustain mobile data centre investments of scale,” she said in a written response. EirGrid’s report said there was currently about 250 mega-volt amperes (MVA) of installed data centres in Ireland, but another 600 MVA in facilities were at some stage in the connection process. It noted there were inquiries from more than 1,000 MVA of additional data centres. “Large industrial connections normally do not dominate a country’s energy demand forecast, but this is the case for Ireland at the moment,” the report noted. Ireland’s increasing demand for energy – both due to the recovering economy and the proliferation of data centres across the country – has put the government on a collision course with EU officials over renewable-energy targets. The Republic is one of only three countries in the EU – excluding the Brexit-bound UK – that is forecast to miss its agreed renewable energy-generation goal for 2020. Based on current expectations, Ireland is facing fines of up to €75 million every year that it undershoots its target of obtaining 16% of total energy needs from renewable sources by 2020. EirGrid noted the only extra electricity supply expected to come online over the next decade was from renewable sources. “The likelihood of meeting the targets for 2020 will depend largely on how much new wind and biomass can be built and accommodated on the system over the coming years,” it said. Email “Ireland's demand for power is rising fast - and it's mainly due to data centres”. Feedback on “Ireland's demand for power is rising fast - and it's mainly due to data centres”.